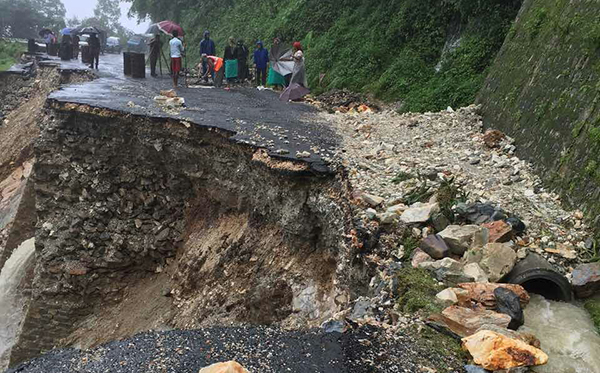 Dantak officials are in the process of constructing a 30-meter bridge near Kamji, along Thimphu-Phuentshogling Highway, after a huge section of road was washed away, last night. The incident took place following a downpour at the site. About 14-metres of road was washed away at midnight. The block site is located 22 kilometres away from Phuentshogling towards Thimphu. Traffic will be open for the commuters as soon as the construction of the bridge is completed.